In the history of humanity no race has been untouched by music. Almost every culture of the world has music as its major part, and so they say that music heals the soul they are right. Most of us are listening music daily and know its many benefits like it changes moods, raises level of consciousness, reduces stress and we feel relaxed after listening music. Many of us listen music while working and also when not working. Music also helps in meditation which has a ton of benefits. In ancient Greece music was used to heal the stress and help with sleeping pattern. Indian religions have music as their essential part as Bhajan and kirtan. It is believed that it connects to the God. In India music is a part of our civilization, seers of Vedic age used to sing Vedic mantras as given in Sam-Veda. Music improves our verbal and visual skill. Researchers have shown that music education at early age stimulates the child’s brain in number of ways that helps to improve his verbal, communication and visual skill. This is the reason why children learns rhythmic poems more quickly and remember it. A study shows that children taking part in extracurricular activities have developed more I.Q. than those who do not. Researchers have shown that music keeps an aging brain healthy. Music is like an exercise for brain. Hence listening or playing music can give you a better memory and mental sharpness. Even people those have faced some sort of brain damage can regain partial or full memory as music help to regain old memories or neurological pattern due to rhythm and sound of music which stay long in the core of mind. Music can make you to feel happy, exited or even sad. Listening to music that hits you in several ways causes your brain to release dopamine which is known as feel good chemical. Studies have shown that music strengthens heart and improve patient’s recovery time. 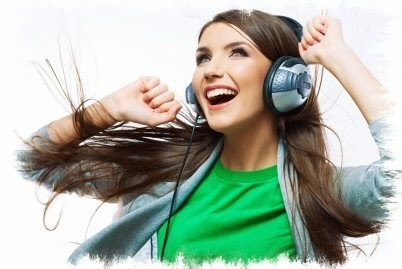 Listening to your favorite music releases endorphin Harmon in brain which improves vascular health. Music also improves quality of sleep as it reduces stress and anxiety. In many cases music proved to be best medicine in case of insomnia. Research has shown that music is capable of reducing levels of the stress hormone cortisol, which is responsible for weakening the immune system, increasing risk of heart disease, lowering bone density, blood pressure, etc. Research found that by listening to just 50 minutes of uplifting music the levels of antibodies in the human body increases. Cancer patients those listened to music experienced reduction in anxiety. The evidence suggests that music interventions may be useful as a complementary treatment to people with cancer. Fast music motivates people. They do their work more efficiently. Increase workout endurance. Listening to those top workout tracks can boost physical performance and increase endurance during a tough exercise session. This works partly through the power of distraction: When we're focusing on a favorite album, we may not notice that we just ran an extra mile. Music also help people in eating less. One study found that playing soft music (and dimming the lights) during a meal can help people slow down while eating and ultimately consume less food in one sitting. Perhaps because slowing down helps them to be more mindful of fullness cues. One study found that music’s effect on anxiety levels is similar to the effect of getting a massage. Here’s an idea: Treat yourself to a massage and bring your favorite chilled out tunes to play during the session. It doubles the relaxation. Listening to music can positively impact your mood while driving. So when you’re feeling sad and frustrated in the car, try cranking some of your favorite tunes. Music has been found to help cancer patients communicate their feelings, manage stress, and ease physical pain and discomfort. It can also reduce anxiety and improve their quality of life. Researchers in Finland concluded that when stroke patients listened to music for two hours a day, their verbal memory and attention improved and they had a more positive mood compared to patients who didn’t listen to music or who listened to audio books. Regardless of your taste in music, it’s clear that musical tunes benefit our health. The best part, now you have an excuse for playing Beethoven while your roommate is trying to study. Really a nice perspective view on music ,feeling great to stop by.